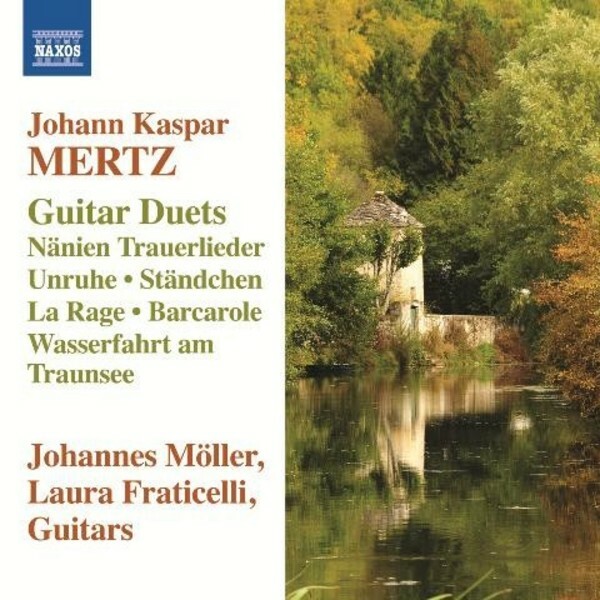 Johann Kaspar Mertz’s duets are unusual for combining a guitar with normal string length and tuning and a smaller instrument with higher tuning, the terz guitar. The rare chemistry of the two instruments reaches high degrees of virtuosity in The Rage but it is Mertz’s colourful depiction of scenes and moods, as in the impressionistic Boat Trip on the Traunsee, the Schubertian Serenade and the atmospheric Going to Vespers which commands our attention. The three elegiac Funeral Laments are amongst Mertz’s finest and most expressive pieces.